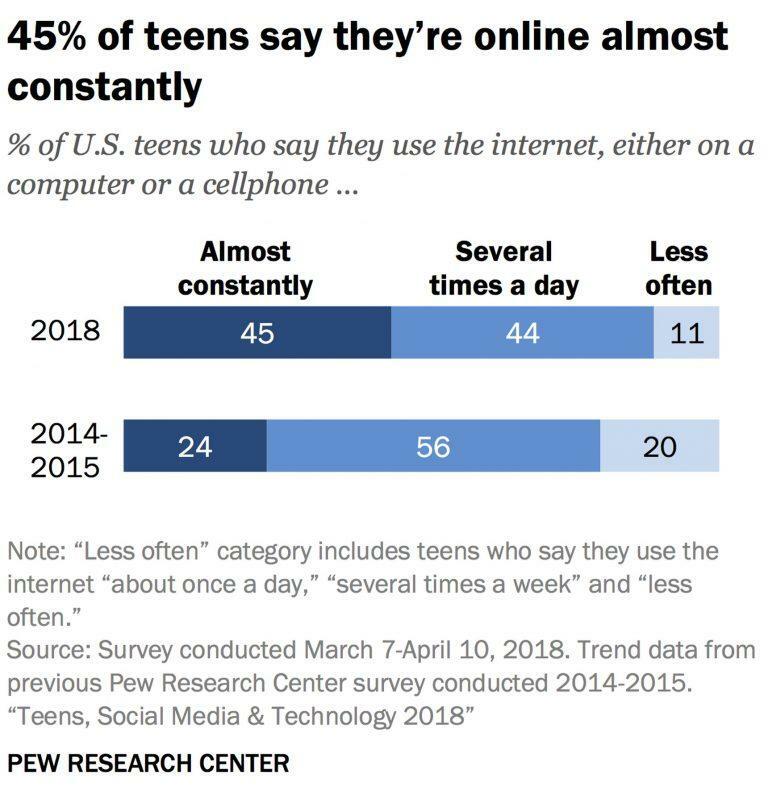 Study Reveals 45% Of American Teens Are Online "Almost Constantly"
According to a recent survey, 45% of American teens say they are online “almost constantly,” about double of what it was 3 years ago. Recently, Good Morning America aired a segment on a 48-hour experiment featuring 4 kids with unlimited screen time. There’s a reason why a documentary film about Digital Addiction was namedElectronic Crack. In 2014, Professor Ollie Johansson discussed addictive behavior caused or increased by smart phone use. (1:49:05 of video) He also referenced research done by Dr. Henry Lai. 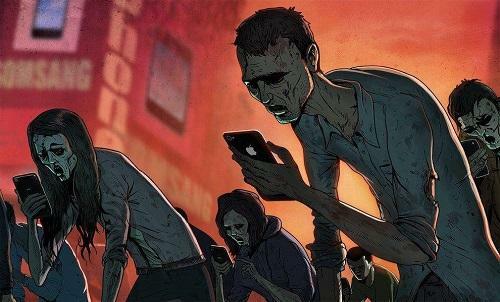 Media outlets and researchers continue to report about Digital Addiction but most fail to address the effect that cell phone and WiFi radiation exposure has on the brain. Research has proven that exposure to all sources of cell phone and wireless WiFi radiation disrupts the blood-brain barrier which can cause it to leak. Our pets are being exposed, too, when we use this around them. In regard to kids, no “safe” level of cell phone or WiFi radiation has still been scientifically determined for children or pregnant women Regardless, even Sesame Street markets technology to kids. Media coverage about how we’ve been misled by telecom companies (aka Big Wireless) is nothing new. Those who question the safety of any of this are often labeled “conspiracy theorists” and whack-jobs. Many people don’t read the safety guidelines in product manuals because they assume we’d be warned 24/7 if any of this was harmful. Remember – even Sesame Street is promoting tech for kids. Regardless, safety guidelines are outdated and don’t apply to the way technology is used today. Many business owners, community leaders, elected officials and government agencies are in no hurry to correct this either. In fact, many are forcing more technology even though decades of research has confirmed that it is hurting us and the environment. In 2011, cell phone and wireless WiFi radiation was classified as a Group 2B Possible Carcinogen by the World Health Organization. Did you know? Some think this classification is still too low.